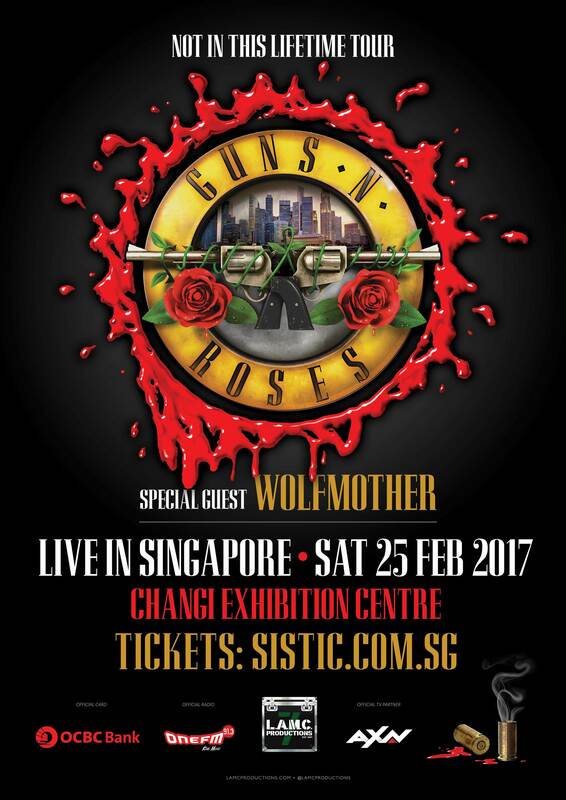 As if the news of legendary American band Guns N' Roses finally making their Singapore debut wasn't enticing enough, it seems like LAMC Productions have decided to up the stakes with the addition of yet another heralded hard rock band. Australian trio Wolfmother will now be opening for Guns N' Roses for the local leg of their Not In This Lifetime Tour. Led by vocalist/guitarist Andrew Stockdale, bassist and keyboardist Chris Ross, and drummer Myles Heskett - Wolfmother are an acclaimed blues rock meets heavy metal outfit hailing from Sydney. No stranger to big stages themselves, the band have also headlined major festivals such as Coachella, Lollapalooza and Reading and Leeds - alongside high-profile supporting slots rock luminaries ranging from AC/DC to Aerosmith. As you can already tell, for a relatively young band, they've certainly earned the respect of some pretty illustrious veterans. In fact, Led Zeppelin themselves personally invited Wolfmother as their guests during their induction into the UK Music Hall of Fame. Best known for their critically-adored albums such as their self-titled debut, Cosmic Egg and New Crown - many observers have noted that Wolfmother are probably well on the road to becoming future legends themselves. Their most recent 2016 LP, Victorious, was similarly lauded as a stellar addition to their discography. This massive concert takes place on February 25th, 2017 at the Changi Exhibition Centre. Regular tickets are priced between SG$199 and SG$298, while limited VIP general admission tickets will be offered at SG$568. Tickets can be purchased via SISTIC.